The high-end ios development services allow to write high-quality code for building most innovative mobile applications. But what sets your iOS app apart from others? It is all about high performance, robustness, quality of code and the value your app adds to customer’s lives. From advertising to in-app feedback, this list of tools is exhaustive and will make your app development powerful. Everyone can code using Xcode, but here are top iOS development tools and SDKs can take application to the next level. Whether it is Swift App Development Company or iPhone development company, it is important to find the best tools and services to build the next top app. The Firebase Framework SDK provides an entire suite of technologies to help app developers succeed in every aspect of mobile app development, quality assurance, analysis and marketing. Google Analytics for Firebase is the most adopted platform for measuring behavior in mobile apps. Google Analytics for Firebase immediately begins capturing data once the Firebase SDK is installed. The core of Firebase is focused on highly sophisticated quantitative mobile analytics, providing in-depth data from user segmentation to app crashes, ad-spend ROI and user behavior. What gives developers complete control over app is integration of Firebase’s integration with Google Adwords and iOS Development Tools. Flurry Analytics is a highly popular mobile app analytics platform, among the iOS developer community allowing to connect multiple apps to the same account, Flurry makes it easy to track the performance of apps. Flurry comes with a suite of features such as Track new users, active users, sessions, and more. Monitor app performance, compare metrics across different apps or measure the growth of entire portfolio. Flurry’s dashboards provide actionable and in-depth insights about user and session activity. Furthermore, learn more about how many of your users frequently return to your app by leveraging Flurry’s retention metrics. Appsee’s app analytics platform offers an in-depth analysis of users’ behavior, allowing to deliver memorable app experience. This SDK allows to understand user behavior watch each and every user action, as well as evaluate problems apps users face and ways to fix them. Appsee lets to view aggregated touch heatmaps of all the gestures performed in each​ ​screen in your app.​ Appsee’s touch heatmaps, user flows and real-time analytics help decipher the app’s performance and fix the problem areas and improve their UI/UX. When you need a bug reporting solution, with in-app feedback and relevant screenshots, screen recordings and other support you may require to understand and fix bugs faster, you can opt for Instabug. This particular SDK has tremendous uses in the beta testing phase, where beta testers can take a screenshot and draw on it to show exactly where they encountered a problem. Upon the live status of app, Instabug also helps you provide in-app support where you can assist users without actually leaving your app. From annotated screenshots to screen recordings and user profiles, Instabug provides a host of features. When it comes to A/B testing, Optimizely is the way to go for both mobile web and mobile applications. Simple, easy to use, code-free visual editor, Optimizely offers advanced features such as geo-targeting. Optimizely allows you to make immediate visual changes to any feature you are A/B testing, and roll out instantly without having to go through app store approvals. An Advertising SDK, Chartboost can provide crucial support for your app’s revenue model. Chartboost is considered to be among the top app monetization SDKs for iOS apps mainly for gaming apps. Chartboost refines advertising respecting user’s play time, keeping ads strictly non-intrusive. Chartboost helps mobile business with in-app monetization and programmatic advertising platform, as well as provides cross promotion ads, game-ad network and a direct deals marketplace. AppLift is all about connecting with the right customers at the right time which forms the key element of mobile advertising. Right from launching app to promotion, managing campaigns, acquisition to even retargeting, AppLift has all tools to take control of marketing campaigns. It provides advanced data integration and extended targeting along with audience management capabilities giving you a complete suite of iOS Development Tools for effortless control of your marketing campaigns. 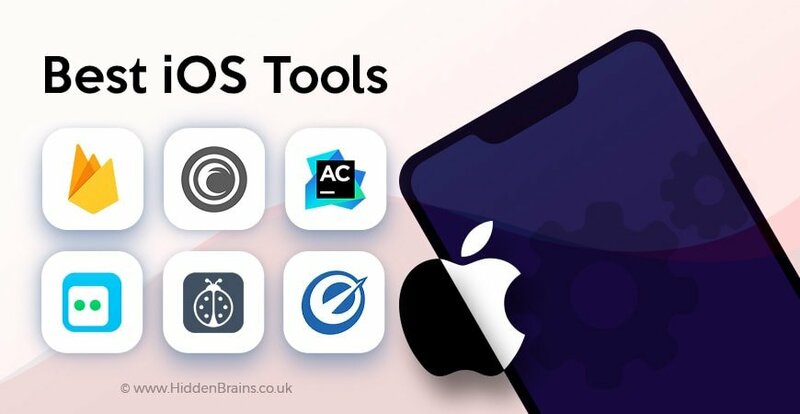 Based on the type of functionality needed, you can select one of these iOS Development Tools to build your app. These tools and SDKs available will help you build top-ranking iOS app. If you are looking to develop top iOS apps, get in touch with our team for free quote.